Later this year Star Wars Battlefront 2 action shooter is set for release. For Disney this is a second chance after their 2015 reboot failed to deliver. Developer EA DICE have include a single player campaign besides the multiplayer. Earlier this year Disney showed a preview of what to expect. The campaign will focus on Inferno Squad, an elite ‘Imperial’ unit tasked with wiping out rebel cells. The trailer shows a confrontation between various Original Trilogy characters and Iden Versio, the leader of Inferno Squad. As a tie-in to the game, and The Last Jedi, author Christie Golden has written a novel. The title, Star Wars Battlefront II: Inferno Squad, is longwinded and I will refer to it as just Inferno Squad from here on in. A story told from the perspective of The Empire is not unusual – the original Thrawn Trilogy was immensely popular because of that. But Inferno Squad is personal, it tells how Iden Versio has been indoctrinated as a young woman by her father to believe what The Empire, and Emperor Palpatine, stand for is the only good in the galaxy. Because of her ambitions and skills she becomes a member of a new intelligence gathering / murder squad set up by her father – Admiral Versio. They are tasked with eliminating dissent, from both within The Empire, and outside threats. Their first task is removing the remains of Saw Gerrera’s partisan group. This mission is deeply personal to Iden as she was one of a hand few survivors of the first Death Star when it blew up over Yavin 4. This event is the single most important event and acts as the catalyst to the story. Inferno Squad gives any reader pause to consider the nature of evil. By rights I consider any of the squad’s members as intelligent. Yet the horrors they commit to obtain information should refrain the reader from liking them. To a degree that never happens. The story is never black and white and near the end Iden and her team make several humane decisions, but they commit atrocities on practically the same page. Their choice hinge on whether their opponent is brave and courageous or weak and ‘alien’. If they are the latter, well, you can guess the rest. So it is hard to root for Iden. She is clever, a good fighter and sometimes humane. But she understands her own background and yet will not budge an inch way from her indoctrination. It is hard to understand her by the end of the novel, which I guess forces the reader to play the Battlefront 2 single player campaign. Inferno Squad is a hard novel to judge. I suppose that means it is not perfect, which it isn’t. The story is sometimes too familiar, despite it being told from the side of the Galactic Empire. I think it could have done with another 150 to 200 pages in length. That would have given the author the opportunity to further flesh out the backstory, character motivation and the Sci-Fi elements. As it is it almost feels like a closed room murder mystery. Christie Golden is an excellent author, her grasp of Star Wars is excellent, but this story could have done with an even sharper edge – even if that isn’t the Disney way. 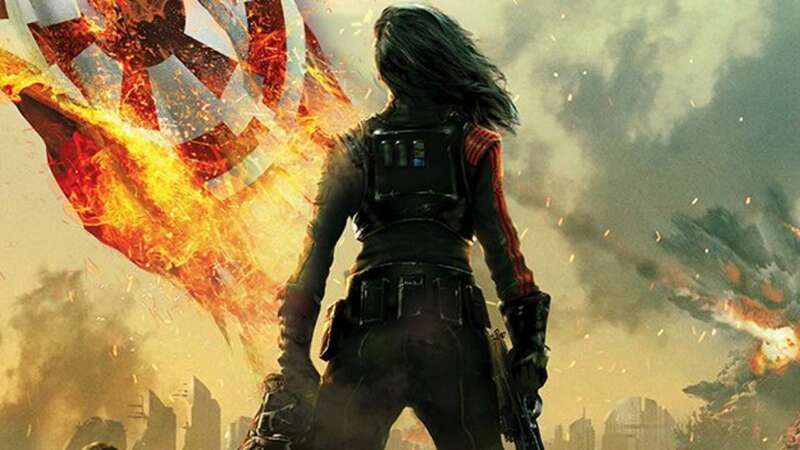 This was my Inferno Squad Review – I hope you enjoyed reading it.